Last week, Herman Cain was brought low by an interview with Piers Morgan. 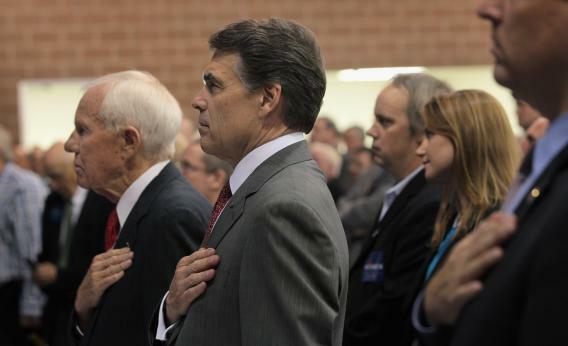 Yesterday, it was Rick Perry’s turn to bend a soft focus interview into a huge own goal. Parade’s Lynn Sherr asks a question that candidates had mostly stopped getting. The most worrisome part of this, clearly, is that Perry thinks about the issue because Trump brought it up. But this may be a useful way of explaining why there is such a thing as “Rubio birtherism.” As Keach Hagey pointed out over the weekend, the Rubio saga broke out months after Charles Kerchner, a geneologist and birther, published proof that the senator’s parents arrived in America before Castro took power in Cuba. Why did Kerchner care? He didn’t. 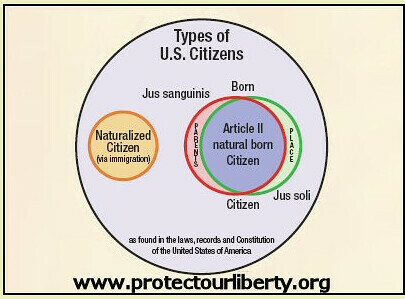 His theory – the big dead-ender birther theory – is that having non-American parents prevents someone from being a “natural born citizen.” Based on obsessive amateur readings of the founders and their intellectual contemporaries, birthers are convinced that “natural born citizen” is a status only available to people born of two American parents on American soil. Look, he’s even made a chart, based on total nonsense. This is the road Perry is headed down, if he wants it. Birtherism, for its adherents, is like Soviet Communism. It can never really be proven wrong. Reality can prove unequal to its pure theory.